Almost anything is possible if you put your mind into it. This is what fine art portrait photography is about – making your dreams come true in the delicate, skillful and thorough manner, paying attention to all the little details. 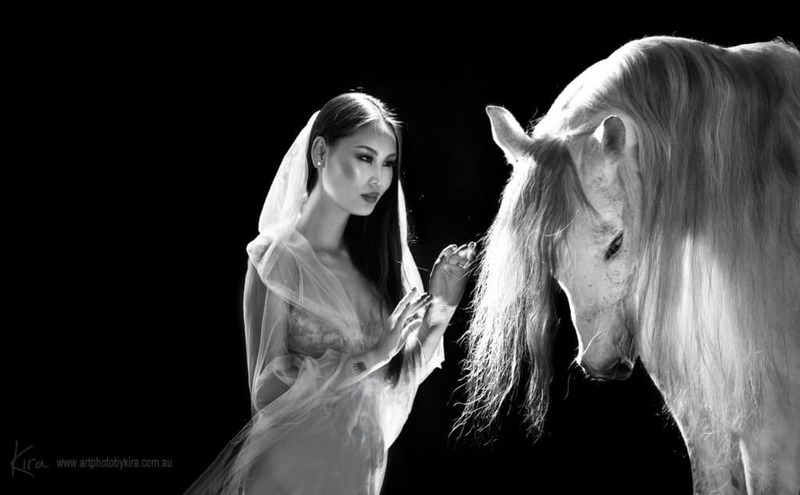 This client wanted to be photographed with the most beautiful, white horse. On that day – only a black horse was available for us to photograph. And we had only limited time to create the portrait. So I have combined the previous image of the white horse and then photographed my client separately, in the studio, recreating similar lighting that was used to photograph the horse. You can see “Behind the scene” image below the fine art portrait we achieved. Behind the scene – creating the portrait.